School information is vital when looking for a new home. Sacramento families looking for a new home have a big decision to make about which school district to move into. Finding good school information can be a challenge. Who do you trust? Where do you start looking? How do you balance all factors in choosing a new home? 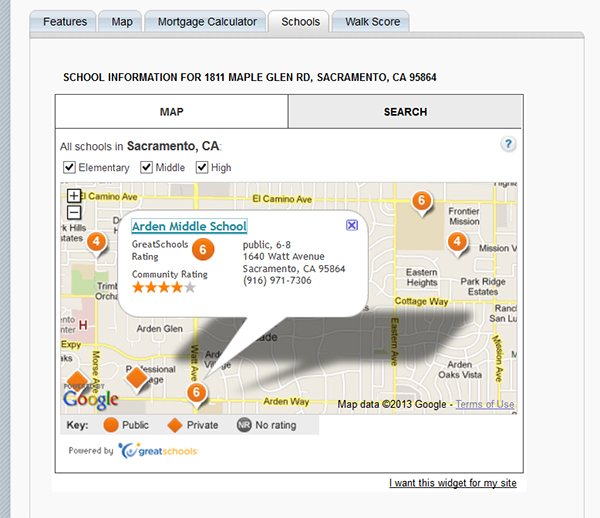 HousingSacarmento.com has a good starting point for families looking for objective information about Sacramento schools. Finding a good school is simple. 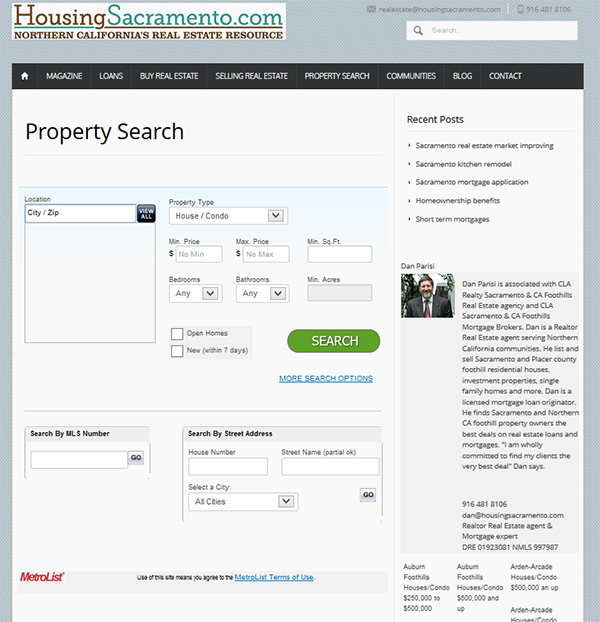 When you are looking for a place to live on HousinSacramento.com you start with a property search. HousinSacramento.com property search is the first place to start looking for a new home in Sacramento. Just enter the zip code and other features you want in a home and click the search button. That takes you to the property search results page. Find a property that you think is worth looking into. Click on that property and it takes you to the property detail page. On the property detail page is a set of tables with more information about the house. Features show the information about the home. The map shows where the property is located. And there is a school tab. 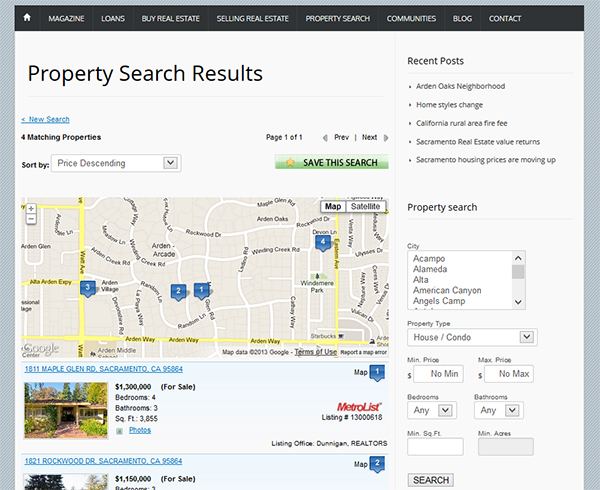 A closer view of the tabs on the property detail page. When you click the school tab, it takes you to a map with diamonds, shapes and circles. These are the school locations. The round locations are Sacramento’s public schools. The diamond shapes are private schools. 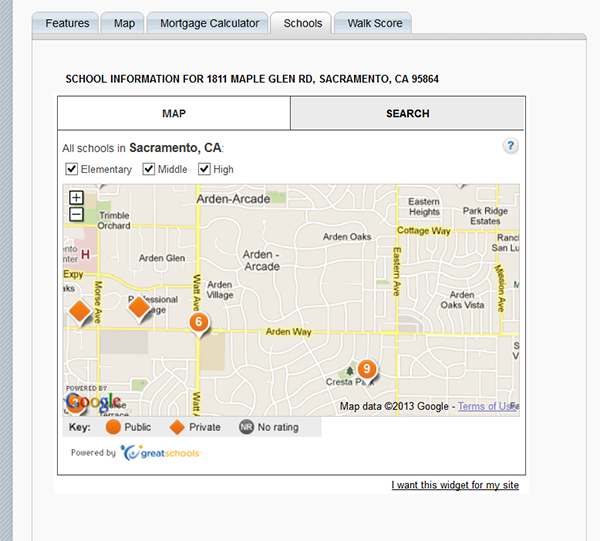 When you click on a school, an information callout shows that school’s basic information. This can be helpful for a quick place to find the address and phone number if you need to know at another time. 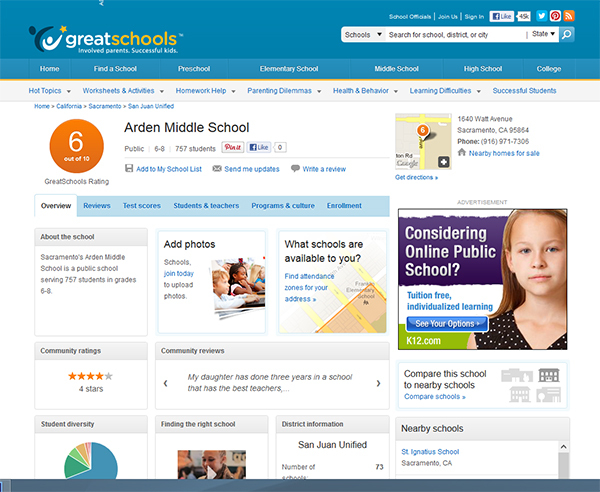 When you click on the callout, this action will take you to the web site greatsschools.org. This web site has a wealth of information about many schools. 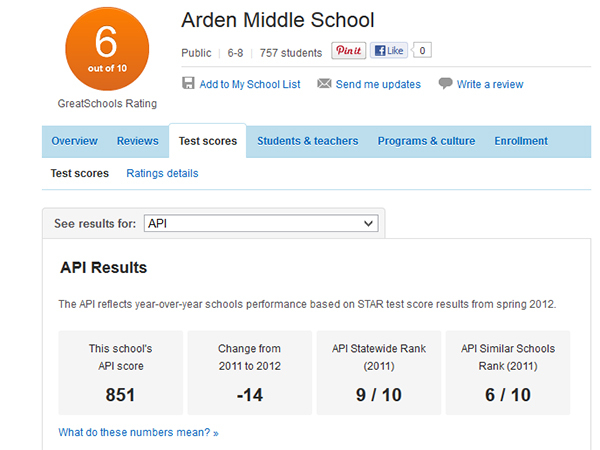 There are reviews, test scores and information about teachers. Start exploring the site for the information you need to make a decision about which Sacramento school district you want to live in. 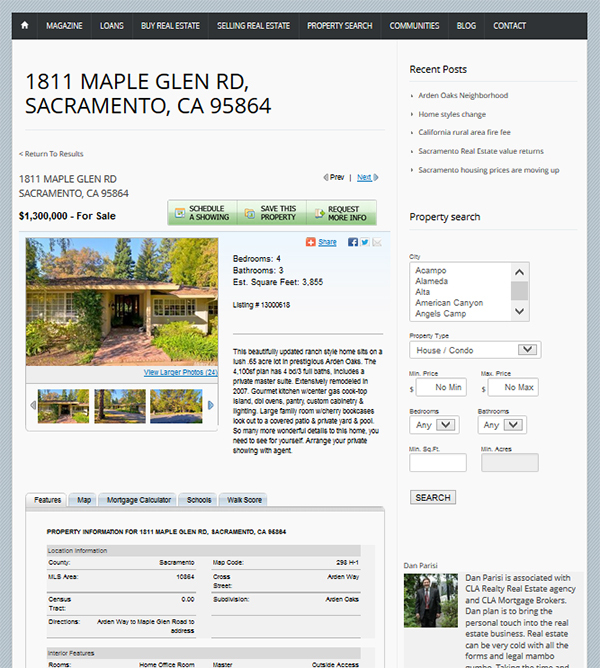 This is just one tool to help you find the best place to find a new home in Sacramento.